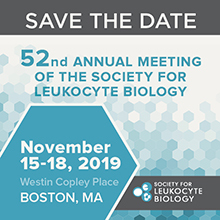 The SLB Legacy Keynote Lecture award is presented annually to a society of Leukocyte Biology member for excellence in leukocyte biology research. It is the highest honor the society can bestow upon one of its members and has been awarded annually since 1980. The council is provided with biographies of the nominees and votes annually to select individuals for the award. 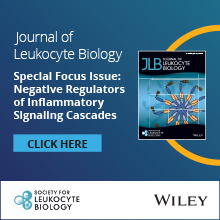 Council is asked to consider the nominee's impact and contribution to the field of leukocyte biology in the research and publications. The award winner must be a highly respected member in the field, and will be invited to give the keynote lecture at the annual meeting, as well as to contribute to the newsletter. The award winner will be recognized in the form of complimentary meeting registration, as well as a $3,000 stipend. The 2019 Legacy Keynote Lecturer has been announced! Ann Richmond has been selected and will join the 2019 meeting in Boston to present her keynote lecture. See Ann's bio and check back for details of her 2019 lecture. Note: The 2017 award and years prior were corporate sponsored. Beginning in 2018, the award is sponsored by the society.